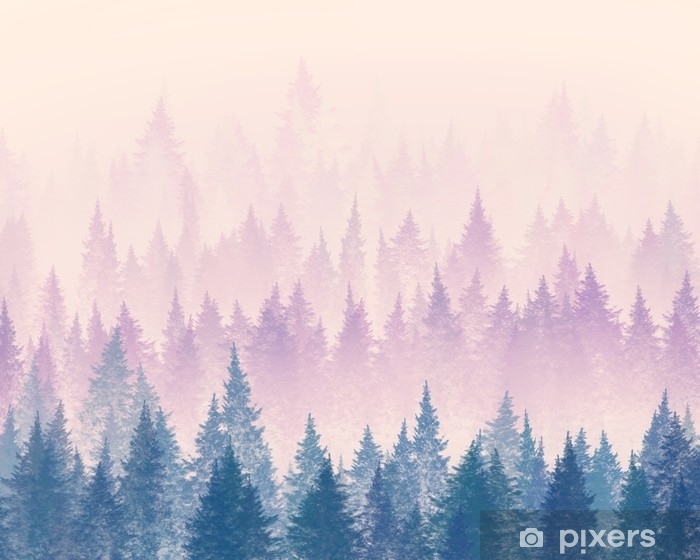 Forest in the fog. Minimalistic illustration. Digital drawing.